The term anaesthesia is derived from the Greek (an-aisthesis) meaning "without feeling". Most major and many minor operations in the UK are carried out under general anaesthesia where patients are completely unconscious, pain free and unaware of events. General anaesthesia has been in use for over 150 years but, amazingly, we still lack a comprehensive explanation as to how the various drugs act on the brain to cause loss of consciousness. The wealth of clinical and research based knowledge that has accumulated, however, makes anaesthesia a safe and well-tolerated process. Who administers and controls general anaesthetics? In the UK qualified doctors administer anaesthesia, assisted by technicians. For major surgery your anaesthetic will be conducted or closely supervised by a consultant anaesthetist. Specialist training to become a consultant in anaesthesia takes a minimum of six years. What will my anaesthetist need to know at the pre-operative visit? Your anaesthetist will ask about your past and present health, smoking habits, alcohol consumption and any medicines you are taking. It is also important for the anaesthetist to know of drug allergies and whether you, or members of your family, have had an abnormal response to an anaesthetic. This is because there are rare, inherited conditions, where individuals react abnormally to anaesthetic drugs or paralysing agents (muscle relaxants). More commonly patients may say they feel excessively "sick" after anaesthetics, in which case a plan can be put in place to minimise these side effects. The anaesthetist needs to know the state of your teeth and whether you have dentures, crowns or loose teeth. An airway device is placed in the mouth even for short anaesthetics and for major surgery a tube is placed into the airway below the larynx. Damage to teeth can therefore occur, but can be avoided if the anaesthetist is forewarned of problems. Will the anaesthetic procedure be explained to me? Yes. Treatment to alleviate pain and sickness after surgery will be discussed. 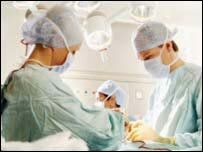 If you are scheduled for major surgery involving pain relieving techniques such epidural anaesthesia (local anaesthetic drugs injected via a catheter placed near the spinal cord) then the relative risks and benefits will be explained. Other issues such as the possibility of blood transfusion will also be discussed. For any routine operation patients are asked not to eat solid food for at least six hours prior to surgery. Water is allowed up until two hours before. Most medications are continued up until the time of surgery and can be taken with sips of water. Certain drugs, particularly those used to "thin the blood" and prevent clotting (eg: aspirin and warfarin) may need to be stopped before your admission to hospital and you will be advised of this. Sedative drugs may be given to you an hour or two before surgery either as an intramuscular injection or, more commonly, in the form of tablets. This sedation is termed the "pre-med" and it may help to relax you and alleviate anxiety. In practice most well informed patients do not require a "pre-med". Finally, the anaesthetist will explain how you will be anaesthetised. Following the attachment of monitors to measure your blood pressure and monitor your heart beat plus oxygen levels an anaesthetic drug is injected into a vein at the back of the hand or in the lower arm. At the same time oxygen will be administered by facemask, as a safety measure. You will then drift off to sleep and wake up at the end of the procedure. Modern anaesthesia is very safe. Deaths occur in the UK in approximately one in every 200,000 anaesthetics administered. Against the background that death by murder affects one in 100,000 people this seems an acceptable risk. The overall risk for an individual undergoing surgery, however, relates to a number of factors including their pre-existing medical condition and the type of operation. For example, the death rate for coronary artery surgery is currently 1-2%. This is obviously the risk which is important to a patient, and far outweighs the risk of anaesthesia (by itself) in this situation. Is there any chance I might wake up during the operation? The chance of a patient being awake (ie: able to re-call events during an operation) is calculated to be approximately one in 1,000. The risk that a patient will experience pain if awake is considerably less than this. These risks are higher for operations such as caesarean section and emergency surgery in very ill patients, and so the overall risk for routine surgery is low. Newer monitoring techniques for measuring the level of anaesthetic agents and the activity of the brain during anaesthesia are likely to reduce the risk of being "aware" in the future. Can I improve my health prior to surgery? It is important that medical conditions you have - for instance, diabetes, high blood pressure, asthma, chest pain - are investigated and treated appropriately before surgery. You should continue any routine medicines unless specifically advised not to. If you feel unwell before surgery, for example, if you have "flu" or a chest infection, you should notify your surgical team. For routine surgery your health should be "as good as you normally expect it to be". It is important to stop smoking at least six to eight weeks before surgery. This allows your respiratory tract to recover and will help your breathing during and after the anaesthetic. Stopping smoking a day or two before operation is of little help. If you are overweight reasonable loss of weight can be helpful and it is beneficial to cut down alcohol consumption. Where can I find additional information regarding my surgery and anaesthetic? Most hospitals have patient information leaflets for different operations. Further information on all aspects of anaesthesia can be found on the Royal College of Anaesthetists' website.